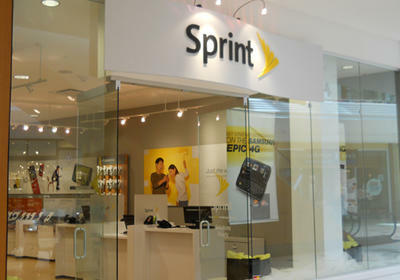 Sprint Nextel has won the top spot in J.D. Power and Associates' "2012 Wireless Purchase Experience Satisfaction Study" for the second consecutive time. The carrier had a score of 748 out of 1,000 in the full-service carrier rankings, followed closely by Verizon Wireless with a score of 746. Sprint's Boost Mobile prepaid brand also ranked highest for the second consecutive time for purchase satisfaction among non-contract carriers. Boost achieved a score of 776 and was followed by MetroPCS (768) and Virgin Mobile (755). The study also found that 19% of respondents actually purchased their device by phone, 19% bought a new device online and 62% walked into a brick and mortar store. Additionally, J.D. Power and Associates said that the average contract customer spends about 55 minutes in a wireless store completing a purchase, 2 minutes longer than 6 months ago. Non-contract customers spend 45 minutes, on average, making a purchase inside a store. Customer satisfaction among those who purchased devices from other retailers, such as Wal-Mart, RadioShack, Costco, Best Buy and Apple was 19 points lower than customers who purchased their devices inside a full-service wireless store. J.D. Power and Associates gathered responses from 10,271 wireless customers for its full-service carrier rankings and from 3,375 wireless customers for its non-contract study. WESTLAKE VILLAGE, Calif: 16 February 2012 — Overall satisfaction with the wireless purchase experience has declined from 2011, mainly due to changing customer expectations and the level of service provided within the phone channel, according to the J.D. Power and Associates 2012 U.S. Full-Service Wireless Purchase Experience StudySM—Volume 1 and the 2012 U.S. Wireless Non-Contract Purchase Experience StudySM—Volume 1, both released today. Now in their ninth year, these semiannual studies evaluate the wireless purchase experience of customers using any of three channels of contact: phone calls with sales representatives; visits to a retail wireless store; and on the Web. Overall customer satisfaction with both full-service and non-contract branded carriers is based on six factors (in order of importance): store sales representative; website; phone sales representative; store facility; offerings and promotions; and cost of service. The study finds that overall customer satisfaction has declined significantly among full-service wireless customers who conducted a recent sales transaction via the phone channel. In 2012, overall satisfaction among these customers averages 735 (on a 1,000-point scale), compared with 758 in August 2011, when satisfaction was last measured—a decline of 23 points. In contrast, satisfaction remained stable in the other contact channels during the same time frame. Full-service wireless customers who purchase devices by phone indicate experiencing greater difficulty when speaking with the phone sales representative handling their sales transaction. In particular, satisfaction has declined notably with regard to promptness in initially reaching a sales representative and the timeliness of the complete transaction. In addition, among full-service wireless customers who purchased a device by phone, hold times and total transaction times have increased considerably. For example, in 2012, the average customer-reported hold time for waiting to speak with a sales representative is 4.6 minutes—an increase of one full minute from August 2011. Once the customer reaches a sales representative, the average customer-reported time for completion of the sales transaction is 16.4 minutes—nearly two minutes longer than in August 2011. "Within the past year, there have been a number of new product and service plan innovations in which, in most cases, relatively detailed information needs to be provided to customers in a logical and cost-effective manner," said Kirk Parsons, senior director of wireless services at J.D. Power and Associates. "Customers who make purchases online and in retail stores have the opportunity to view all product offerings and see the pricing associated with each, which is not always possible over the phone. In phone transactions, it is more challenging for sales representatives to describe a service or device and also complete the transaction in a timely manner." According to Parsons, there is a potential negative outcome when customers have a poor purchase experience, including higher future switching rates and a reduced likelihood of repeat purchases via the same channel. For example, in conjunction with declining satisfaction among customers who use the phone channel, there has been an 18 percent reduction in the proportion of customers who say they "definitely will" shop at the same carrier channel source in the future (28% in 2012 vs. 34% in August 2011). For a second consecutive time, Sprint ranks highest in customer satisfaction among major full-service wireless carriers. Sprint achieves a score of 748 and performs well in the offerings and promotions and cost of service factors. Verizon Wireless (746) follows Sprint in the full-service carrier rankings. Boost Mobile ranks highest for a second consecutive time in overall purchase experience satisfaction among non-contract service carriers. Boost Mobile achieves a score of 776 and performs particularly well in four of the six factors: store sales representative; phone sales representative; offerings and promotions; and cost of service. MetroPCS (768) and Virgin Mobile (755) follow Boost Mobile in the non-contract service carrier rankings. While 62 percent of full-service customers indicate that their most recent purchase experience occurred in a retail store location, 19 percent say that their most recent sales transaction occurred via phone, and an additional 19 percent occurred via the online channel. This differs considerably from non-contract customers—27 percent say their most recent purchase transaction occurred online, and only 11 percent indicate that it was via phone. The average total time customers spent in the full-service retail store to complete the sales transaction is approximately 55 minutes—an increase of approximately 2 minutes from six months ago. In comparison, customers making purchases from non-contract carriers indicate spending just 45 minutes in the retail store. Satisfaction with the overall purchase experience among other retailers, such as Apple, Best Buy, Costco, RadioShack and Wal-Mart, averages 741 index points—which is 19 points lower than among stores owned by full-service wireless carriers. The 2012 Wireless Full-Service Purchase Experience Study—Volume 1 is based on responses from 10,271 wireless customers. The 2012 Wireless Non-Contract Purchase Experience Study—Volume 1 is based on responses from 3,375 wireless customers. Both studies are among current subscribers who report having a sales transaction with their current carrier within the past six months. The study was fielded from July through December 2011. For more information on customer satisfaction with wireless service, wireless retail sales, cell phone handsets, customer care, prepaid wireless service and business wireless service, please visit JDPower.com.